Jason has worked at Exeter since 2004, and since 2006 he has been employed on the University’s Penryn Campus, where he is currenly Head of Humanities. Before coming to Exeter, Jason taught in higher-education institutions in the United Kingdom and the United States. He holds a BA in English from Hendrix College, a small liberal arts college in the state of Arkansas, and a PhD in English from the University of London (Birkbeck College). 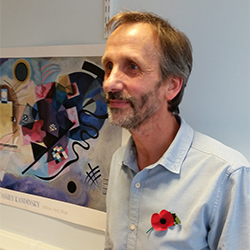 Richard Everson began his academic career in Physics, reading Natural Sciences at Cambridge, before studying the signatures of chaotic systems for a PhD in Applied Mathematics at Leeds University. 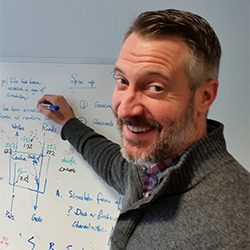 He worked for several years on aspects of data analysis in fluid mechanics and brain imaging at Brown, Yale and Rockefeller universities in America, before returning to Britain and the department of Computer Science in Exeter in 1999. He is now a Professor of Machine Learning with particular interests in pattern recognition and multi-objective optimisation. Randomness, through experimental data and computational random number generators, has been a constant feature throughout his career, making work on John Clark’s Latin Verse Machine, perhaps the earliest mechanical random number generator, a pleasure. Alma Rahat obtained a BEng (hons.) in Electronic Engineering from the University of Southampton, and a PhD in Computer Science from the University of Exeter. Currently, he is working as a Research Fellow. 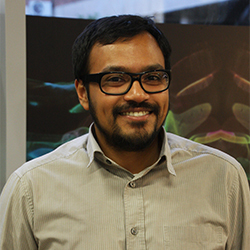 His main research interests lie in the broad areas of optimisation, machine learning and pattern recognition. He has always been fascinated by how things work and how early inventors built many interesting machines. Thus, he believes the exposure to simple demonstrations of seemingly complicated technology from an early age is pivotal in instilling an interest of science. 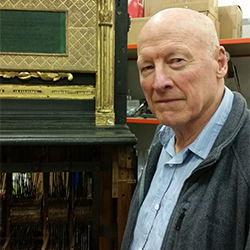 In his mind, the project on the Latin Verse Machine, which endeavours to bring to light the practical details of this amazing feat achieved by John Clark in the Nineteenth century, will inspire many young children to pursue a career in science and think creatively. Richard Clark is the great-great-grandson of James Clark, who founded the Clarks footwear company in 1825 with his brother Cyrus. Richard grew up in a family which was interested in historic artefacts and family history, and spent his working life in C & J Clark Ltd. He created the Alfred Gillett Trust which has taken responsibility for looking after the archives and historic artefacts collected by the Clark family and the Clarks shoe company. One of those artefacts is the Latin Verse Machine which was was made by a first cousin of James Clark. Richard is very pleased that not only is the machine being sympathetically conserved by experts, but a model has been made which can be used to demonstrate how it works. He continues to serve as a Trustee of the Alfred Gillett Trust. Karina entered the Heritage sector via a love of art, costume and fashion theory, returning to Higher Education after a stint in fashion retail management to undertake a masters in Investigating Fashion Design, which has benefited her research whilst at the Alfred Gillett Trust. In 2013 Karina joined the Alfred Gillett Trust team as a Documentation Assistant and in 2016 became Assistant Curator, with responsibility for the Point of Sale collection and Intellectual Property Rights Register. Karina was overjoyed when asked to become part of the team overseeing the Latin Verse Machine’s rejuvenation and has become a particular fan of John Clark and his seemingly never-ending curiosity and interest in everything. 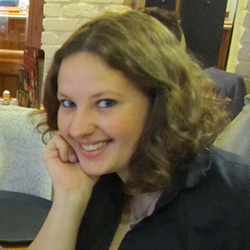 Natalie is a heritage professional specialising in collections management and project development. 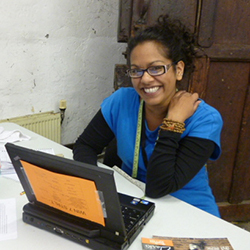 Following her degree in Archaeology, she moved into the heritage sector and has been based in Somerset ever since. She acted as Museum Development Officer for Somerset for 6 years, before moving to the Alfred Gillett Trust. In 2013 she began her role as Digitisation Project Manager, managing a significant research project to survey Clarks’ the historic collection and overseeing the digitisation of the historic material. As Collections Development Manager she now manages the five digitisation projects, as well as overseeing the care of the heritage collections belonging to the company and the family, such as the Latin Verse Machine. Since 2007 Natalie has been a Trustee of the regional museums support network the South Western Federation of Museums and Art Galleries (SWFed) and in 2009 became an Associate of the Museums Association. She is currently the Vice-Chair of the Museums in Somerset group, supporting a network of professionals in cultural organisations to share skills and knowledge.